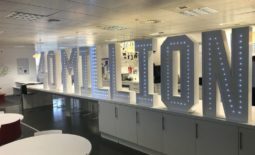 I thought it would be a good idea to write about my experiences as a mobile Dj with customer’s wedding and party playlists. I was really happy with the way my disco looked, so was Yvonne my customer at her 50th. I have been given playlists for both weddings and parties on the day of the event! This is definitely not a good idea as what happens if I can’t get an important song at the last minute. On my website and on all emails it says that all playlists should be received a minimum of 7 days before the event. The reason for this is that I work approximately 3-5 nights a week as a mobile Dj and on the days I have off from doing weddings I’m doing my paperwork and checking booking details and making sure I have all the songs on your wedding or party playlist. If you send me your playlist only a day before your event I might not have internet access at the location I am and might not have time to get the songs on your playlist. So please send your playlists for your wedding or party a minimum of 7 days before the event. 4ft tall Mr & Mrs.
Last nights wedding I was given the playlist at 3pm when I was delivering the dance floor! 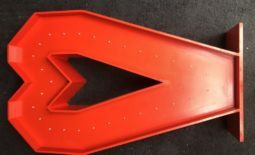 I then had to go back to my storage, load another van then unload the van with the spare dance floor parts I had in it and then drop off a set of 5ft tall giant letters. After doing all that I drove back to my wedding venue and set up my disco. The venue was in an area that had very bad mobile phone reception and marginal 3G/4G data. The venue itself had no internet access on its wi-fi unless you were a hotel guest. Something I thought was very bad! So I really struggled to download the songs on the last minute playlist. With changing my phone’s location I eventually managed to get two bars of mobile reception and got the songs I needed. It’s not the way it should be done and why wedding and party playlists should be sent well in advance! The first song was one I had to download which would have been a disaster if I didn’t get it. Although clearly it wasn’t my fault I want all events I do to run like clockwork but as the event host you have to do your bit too! 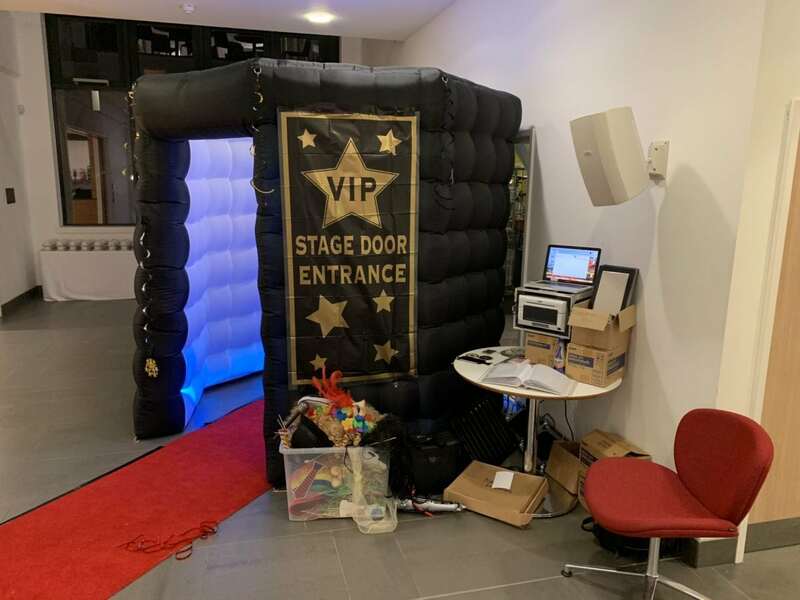 Photo booth with Hollywood theme. How long should your wedding or playlist be that you give to your mobile Dj. The reason I created this form is so that it prints out on an A4 sheet with big print that is easily read in low light conditions. The playlist form also asks you for the date of your event etc so I can locate your booking and add your playlist to it. I have received photos of playlists by text and by Facebook messenger amongst others. This is not a way I like to receive them as the size is small and hand written playlists are hard to read in low light. This also means that I have to open every photo to print it. The other reason I want my playlist creator to be used is that I often receive an email with a list of songs on it with no date of event or venue and then I have to search through hundreds of bookings to find the wedding or party booking it goes with. Often I receive the playlist from somebody other than the person who booked me which makes it even more confusing! Mood lighting in yellow with blue stars produced by my new moving heads. One very important suggestion to all brides and grooms is to create a free email address specifically for your wedding. (Gmail, Yahoo Mail etc) One that you both have access to and one you use for all communications with all your suppliers. You can then create folders in that email account for every supplier and put all the relevant communications in each suppliers folder. It keeps it nicely organised and helps prevent errors. If not doing it this way please put the date of your event, the venue name in the subject box and your type of event. Please also try emailing from only one email address! I prefer to communicate only by email so I have a record of our entire conversation as if I’m driving I can’t write anything down and I’ll never remember an entire conversation when I’ve received several other phone calls that day. I am delighted to chat with you about your occasion but I’ll always ask you to confirm everything by email. This avoids mistakes and miscommunications. 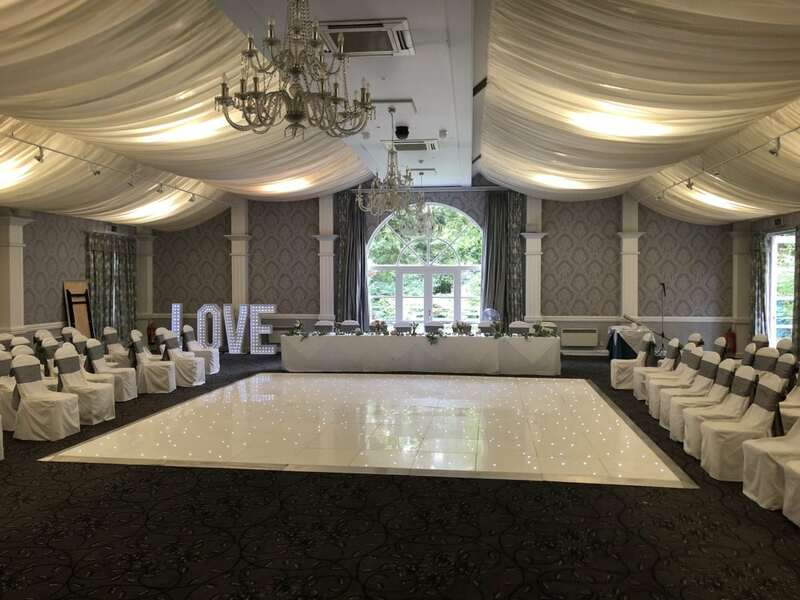 White led dance floor and 4ft love letters at Keavil House. I created a wedding checklist and party checklist also for the same reason. Both of these forms ask for all the information that I need. When sending your deposit or full payment please read through this short form that has my bank details on it and fill it in after you have paid the deposit. When I receive the deposit form I will check my bank account to see if I’ve received your payment and then confirm to you once I have received it. If I haven’t received it then I’ll let you know too. Please make sure when sending the forms that you get a message that says your message was sent successfully and that you received a copy of the form too! If you didn’t get it neither did I. My new almost all white disco. Back to wedding and party playlists now. I like people who are very easy going and laid back regarding their wedding or party playlists. Playlists should really be used only as a guide and not a set in stone playlist. Brides and grooms who are relaxed and laid back typically have the best weddings! 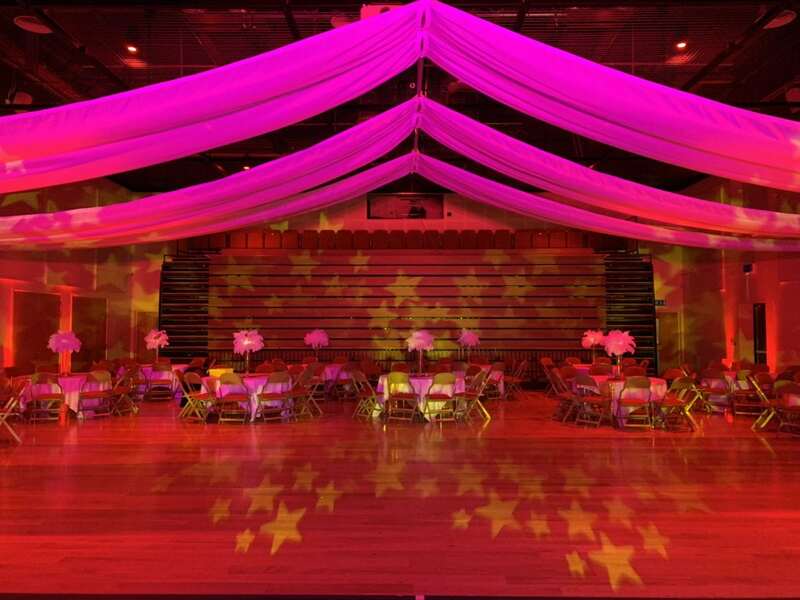 A bride and groom who are always in the function room and dancing will also have a better atmosphere at their wedding. 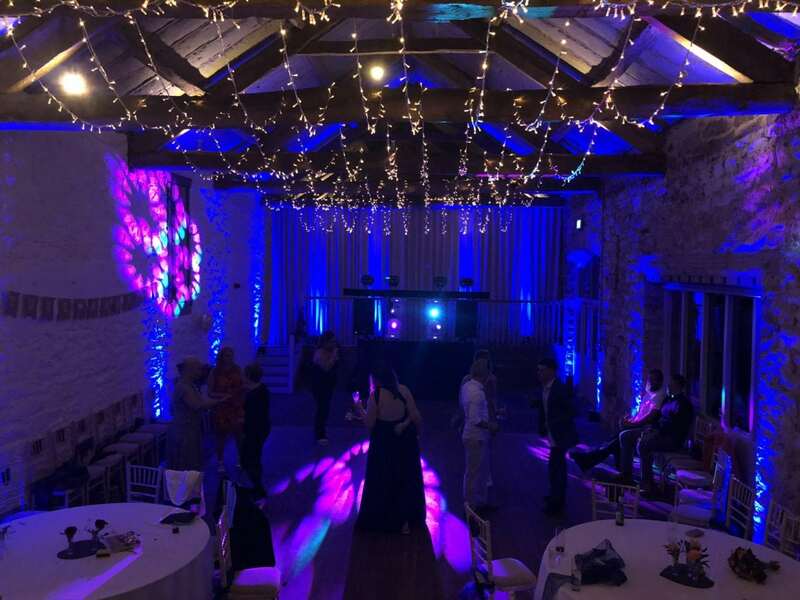 Askham Hall with disco and mood lighting. As a wedding Dj and Party Dj of 43 years experience I have lots of horror stories about playlists and how they can ruin a night. I think the basics are remember that the music is not just about you. You’ve invited lots of guests to share your day so their musical tastes should also be catered for. 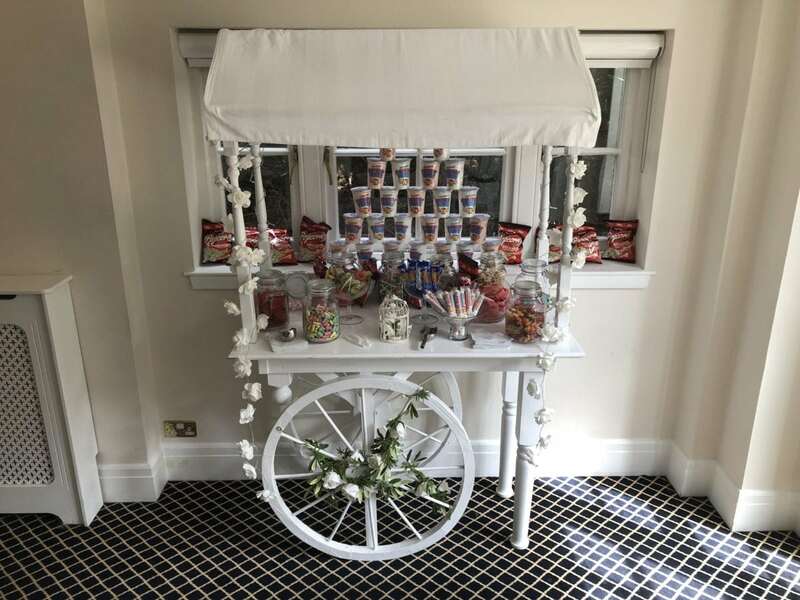 Requests from your guests should always be encouraged! I love taking requests and will try and play them when they fit in with other songs I’m playing. If I’m playing 80’s music I’ll do a set of 80’s songs but I wouldn’t put a chart hit in at that time. I would do that when I was playing a set of current chart hits. 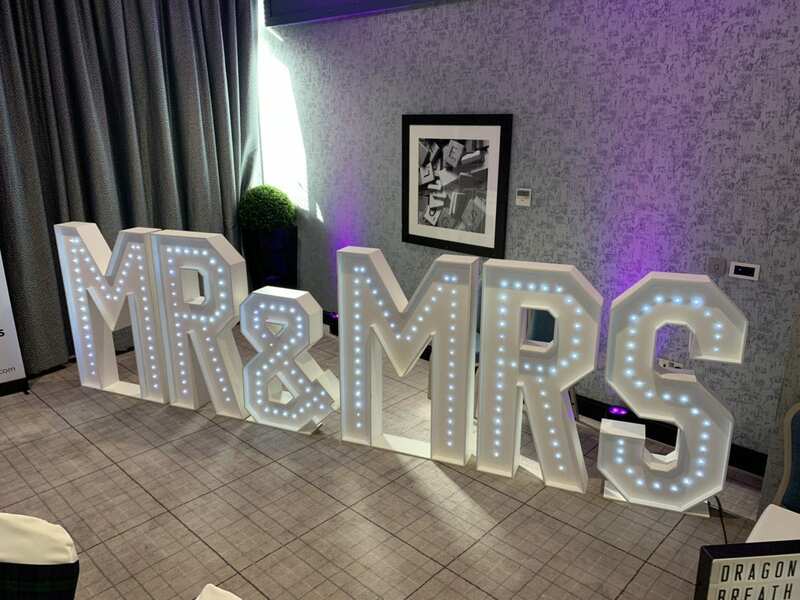 My miniature Mr & Mrs letters at Moness House Hotel, Aberfeldy. Recently I’ve taken a much harder line on wedding and party playlists. My job is to give you a successful and atmospheric night and to entertain you and all your guests. If I receive a playlist that I think won’t work I will now decline the booking. I recently had an enquiry where the hosts said they didn’t want the guests to have requests played, I declined this booking too. My new moving heads at a wedding in Askham Hall. One thing you hear from time to time is “no cheesy music”. Well if you want to rule out all the guaranteed floor fillers that’s what your doing. The biggest floor fillers are Abba, Kelly Marie etc and I think should be played and both are cheesy music. I have a massive music selection of 1.4 million songs. I like to play a huge variety of music to suit everyone and that will contain music from the 50’s to the lastest chart hits and will include pop, rock, dance, RnB and even ceilidh and ballroom songs where required. 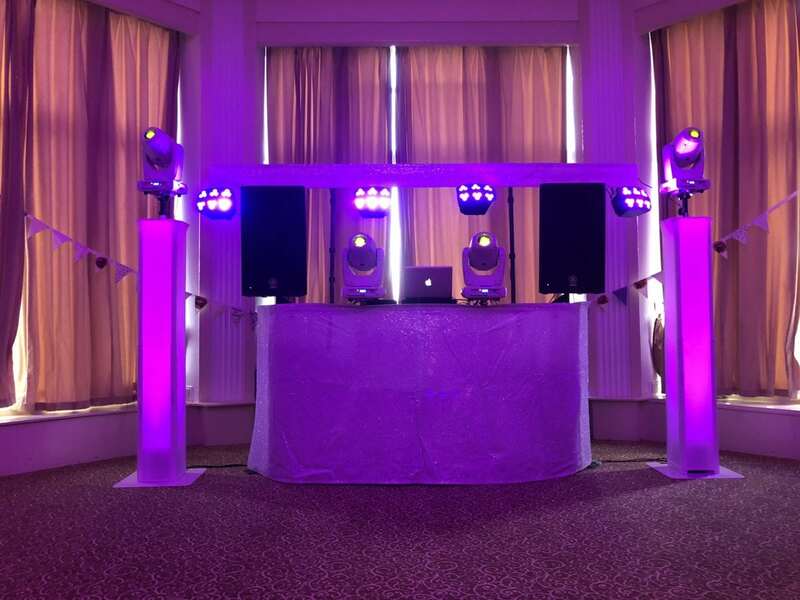 The bottom line with playlists for your wedding or party is that you’ve employed an expert Dj who has years of experience and knows what works and what doesn’t. I like to receive a modest playlist of 20 songs or so and I love to play requests. If you allow me to do my job while personalising it for you and your guests you’ll have a great night. One final thing I’d like to say is to always be nice and friendly to all the staff who serve you on your special day. Whether it’s your waiting staff, bar staff, hotel manger, Dj etc. 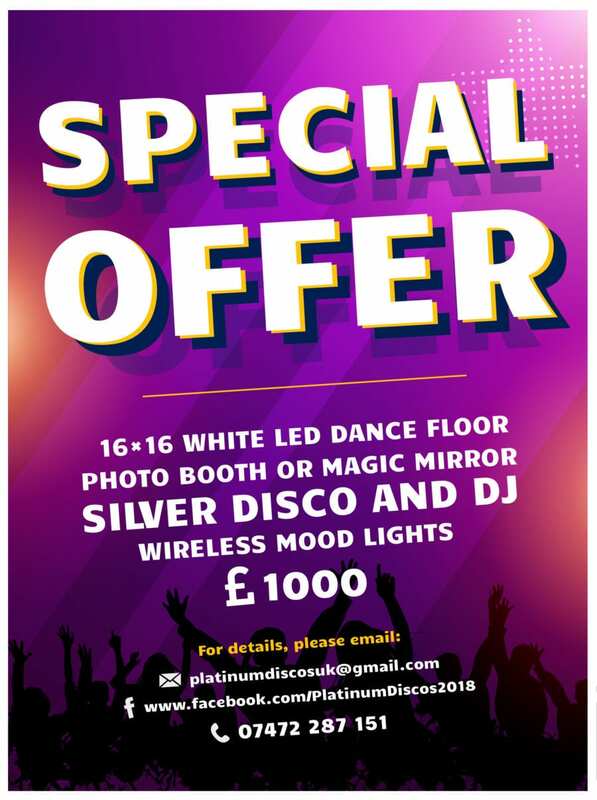 My amazing special offer: 16ft by 16ft white led dance floor, a 2 hour photo booth hire, 5 hour mobile disco and 12 wireless mood lights for £995! Things can go wrong at weddings and all these stupid TV programs that tell you to complain and be a bridezilla only do one thing! They help you to ruin your wedding day! Be patient and friendly and go with the flow, enjoy your day, relax and remember it’s a party with all your friends and family! Communicate clearly with all your suppliers and this will reduce the risk of mistakes. I hope you’ve found this blog interesting and helpful and I wish you a happy, memorable and a successful day! 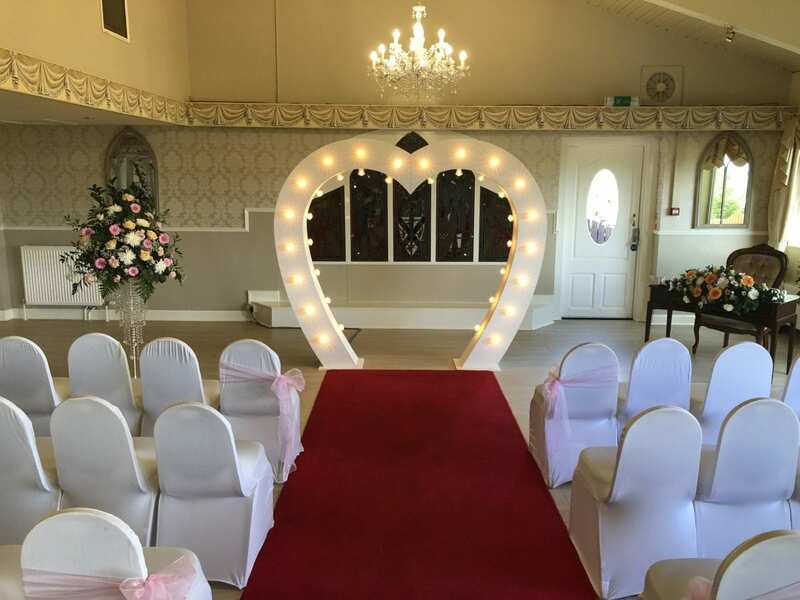 I’ve added lots of photos which I hope will inspire you to create a wow factor at your party or wedding. 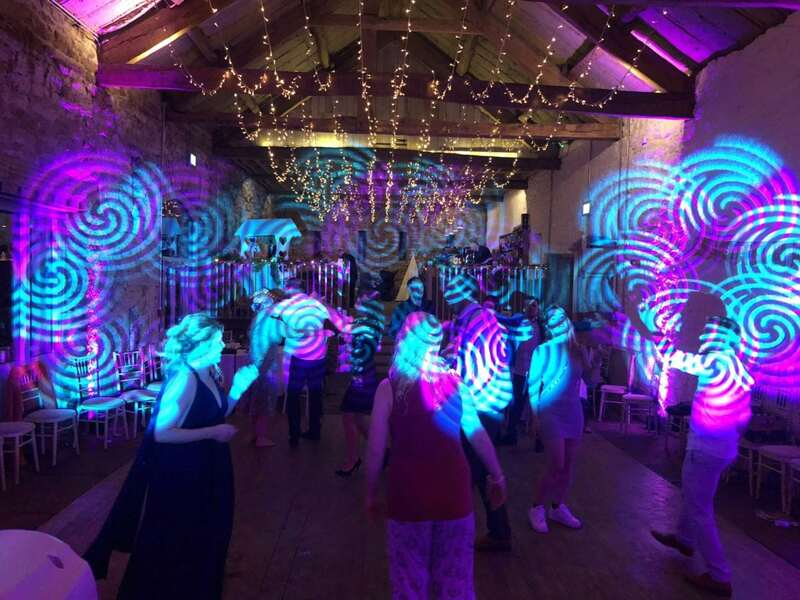 Wedding Dj | Mobile Discos | Ayrshire	Weddings at Askham Hall, Askham. 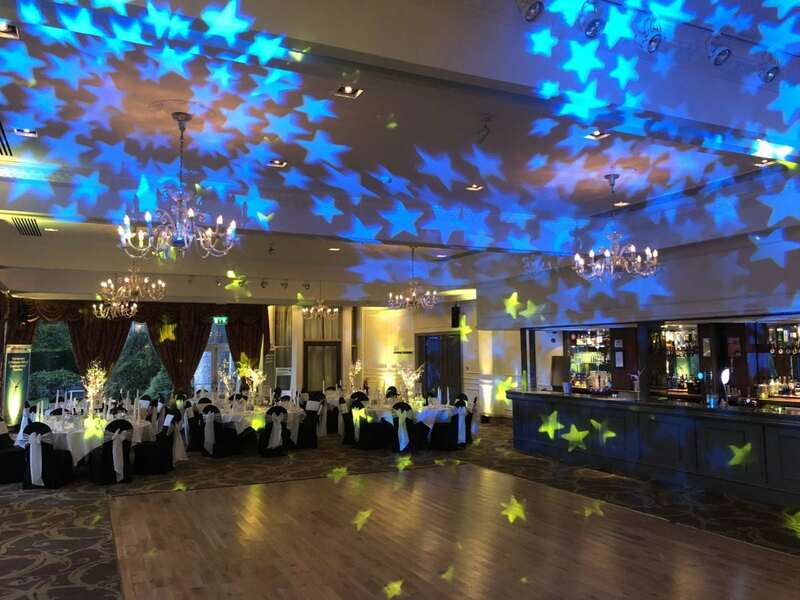 Led dance floor hire | St Andrews | Fife. Mobile disco hire Cumbria and Northumberland. 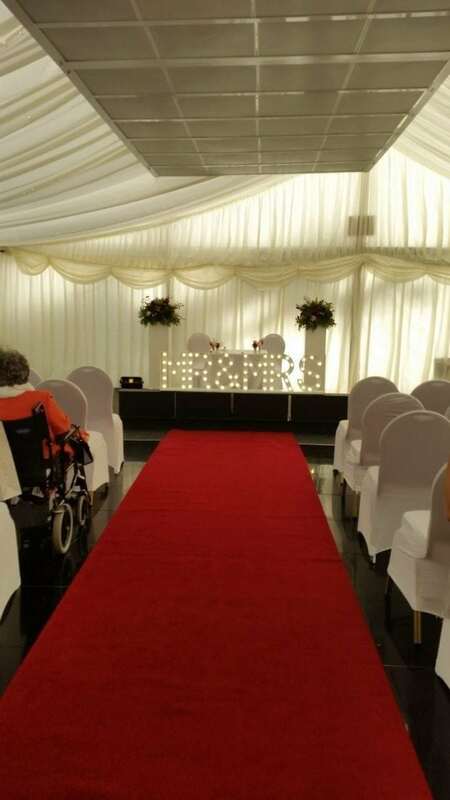 Ashley Duncan on Another funny story from a wedding I did in Stranraer. admin on Another funny story from a wedding I did in Stranraer.